In such a theory, the human nervous system is seen as responsive to the changes in the cosmic environment. 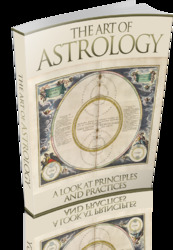 Another approach to astrology could be called the symbolic approach, which considers the planets and signs to be symbols of cosmic processes and universal principles. As an example of this approach to astrology, the following outline is derived partly from Ebertin's (1960) attempt to correlate the yearly rhythm of the seasons with the signs of the zodiac.